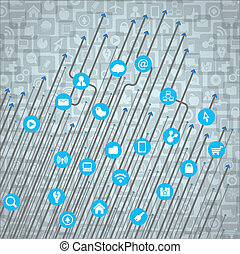 Modern social abstract media icons falling down. 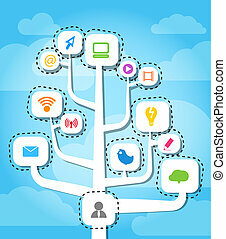 Social Media Icons. 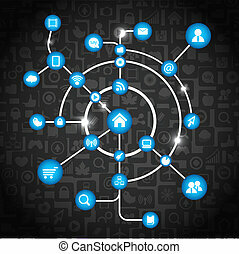 Network Notifications with White Heart in Pink Square. 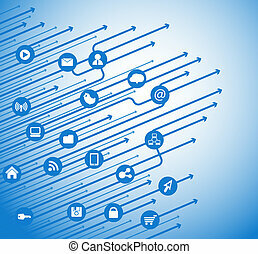 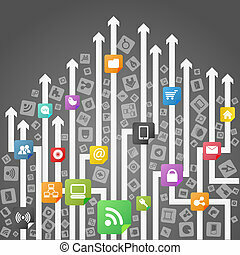 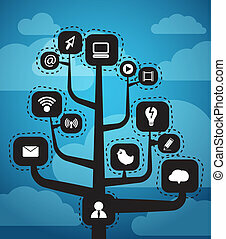 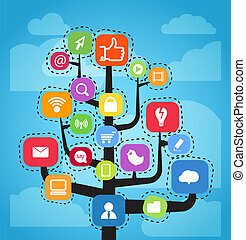 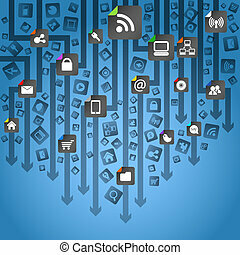 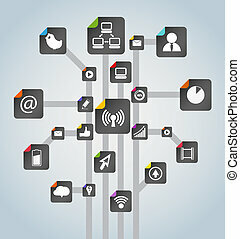 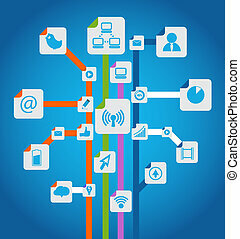 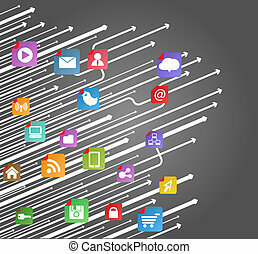 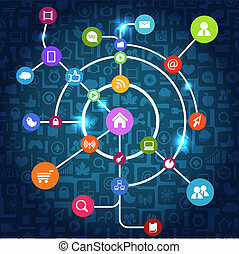 Follow and Share Social Media Icons Background for App, Application, Marketing, Smm, Ceo, Web, Internet, Analytics, Business.